Xeikon Café North America, a unique conference experience for print providers and converters, has announced the dates for its 2018 edition. The event will take place from May 15th through 17th at the Westin Chicago Northwest and Xeikon’s Innovation Center, both located here. This will be the second Xeikon Café held in North America and builds on the success of the inaugural event which attracted 175 attendees from the United States, Canada and Latin America. 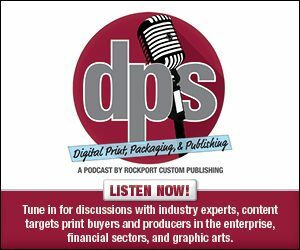 The conference, which focuses exclusively on digital print production, is offered without cost to print providers and converters that specialize in all areas of the graphic arts, labels and packaging markets. Former Chicago Bears linebacker Matt Mayberry, who is now a popular columnist for Entrepreneur magazine, will keynote the conference on opening day. The agenda will feature a range of topics covering the industry’s latest thinking on economics, technology and business management as well as live, interactive demonstrations. This year’s event will include a new track called Xeikon Café Academy, a series of ‘how to’ sessions designed to help participants develop additional sources of revenue by adding new capabilities to their repertoire. Xeikon Café North America also will feature a wide roster of industry suppliers from across the value chain. They will include providers of job submission software; print management information systems; digital presses; feeding and finishing; business services; financial services; and substrate manufacturers.